Does Grammar Still Matter in the Age of Twitter? I think my grammar is pretty good. I use good grammar in everyday life, besides on text. I don’t have a Twitter, but I do think it is important to use good grammar so people know what your talking about and doesn’t make you look uneducated. I was taught grammar all throughout elementary and middle school. I think they should still continue teaching grammar because if they don’t, then kids will not know how to speak in good sentences and write proper sentences. When I make grammar errors, they are the stupid errors that I shouldn’t be making. I do agree with Ms. Jovin on grammar bringing people together because when people all have good grammar, people don’t have to correct you and they don’t have to talk to you about fixing your grammar. There are times where I struggle with spelling certain things as well as knowing what word to use in the right sentence. I believe grammar does matter on twitter because you will always be called out for being wrong no matter what. The main idea about twitter is that it states how others feel as well as there thoughts on a subject. Grammar always matters because it sets the parameters for language. Slang, acronyms, and abbreviations of language have always derived from the grammar. It serves to communicate messages in a quick and efficient manner. In my experience, I was taught most about grammar in elementary school. 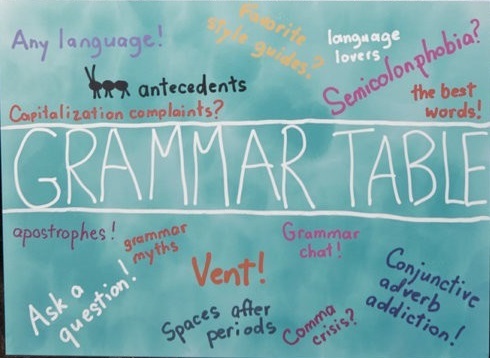 Throughout middle school, and in my first two years of high school, grammar was taught at the end of each quarter due to the fact because it was required material on exams.